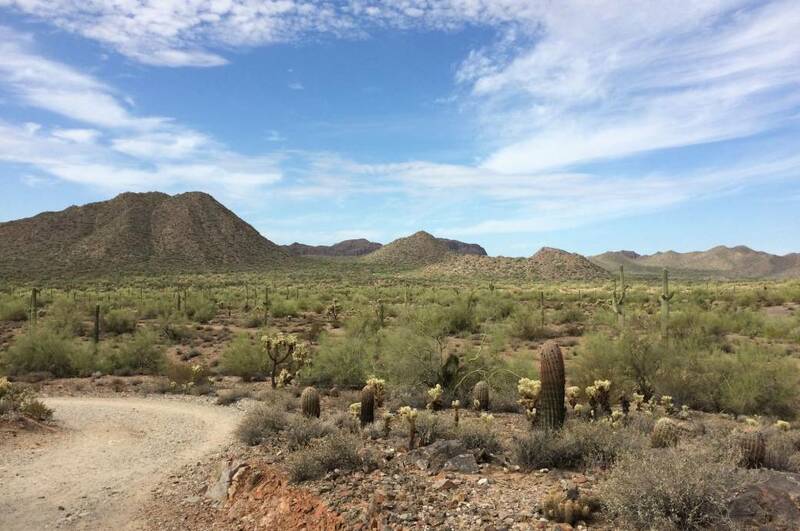 Often cited as the most popular trail at San Tan Mountain Regional Park, the Goldmine Trail features is approximately 4.7 miles in length with an elevation gain of 754 feet. Over all, the hike is moderate, however the most steep area occurs early on into the hike and generally lasts for about 10 minutes. Hikers generally regard this hike as a beautiful trail.